Though there are many ways of proposing on Valentine’s Day, proposing with a Diamond ring would be memorable and very romantic. Deciding on a life partner is one of the most important decisions you’ll ever make in your life, also, proposing puts your heart on the line. 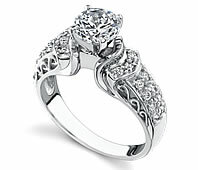 There are numerous ways to determine what type of ring would best suit her. First, take a list of her current jewelry, this can help to determine her taste. Does she like flashy jewelry or just a few simple pieces? 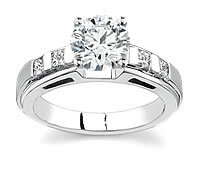 Does she prefer yellow gold or silver/platinum? Does she like modern styles or vintage? 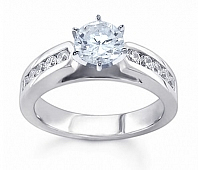 Researching on-line jewelry stores is a huge help in seeing the many options you have. Determine your price range and ask many questions. 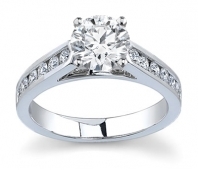 You will have to shop around to ensure that you are getting the best price from an on-line jewelry store who provides certificates from GIA (Gemological Institute of America) or another accredited organization.